Accept donations online to streamline and maximize fundraising. Drag and drop a Donation action block into any email. Follow the prompts to create a landing page where your contacts can make donations—online and on the go. Write a description of your important cause so potential donors understand why they should contribute. Set your organization’s fundraising goal and suggested donation amount. 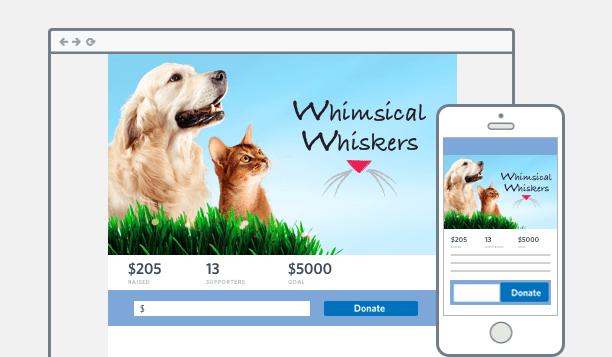 Add or upload an image, change colors, insert a donate button, and more. Collect donations online with confidence. 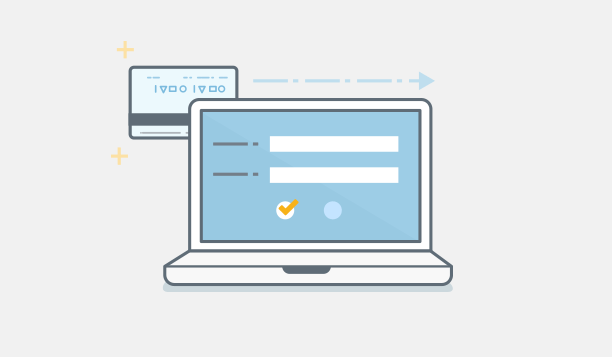 Create or connect your existing WePay account to ensure simple and secure credit card payment processing for your supporters’ donations. Track donations and campaign results. 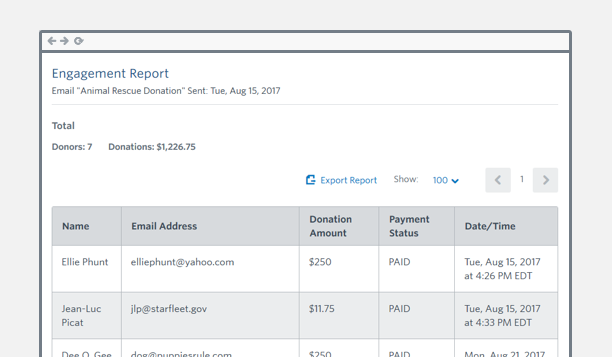 With real-time reporting, you can keep track of donations in the same place you view the performance of your emails. Constant Contact makes it easy for you​r email campaign​ to succeed. Connect with your customers and prospects in minutes with email marketing. With so many great features, including one-click editing, social integration, and comprehensive tracking, see for yourself how powerful email marketing can be. Expert classes, seminars, and networking events, right in your neighborhood. Tell me more. Start Sending the Best Email Today!